One evening, I was tinkering around my kitchen when I had a serious craving for a delicious homemade quiche. I began to fret about the amount of fat, flour and time I would need to make a savory and worthwhile crust, when an idea came to me. Instead of using a crust, I thoroughly greased the glass baking dish with vegetable shortening (you can use butter if you so please). I can’t stress enough how important it is to have the dish well greased, as this is what enables the quiche to “pop” out after it has been cooked, and not stick to the dish (also be sure to grease the sides). 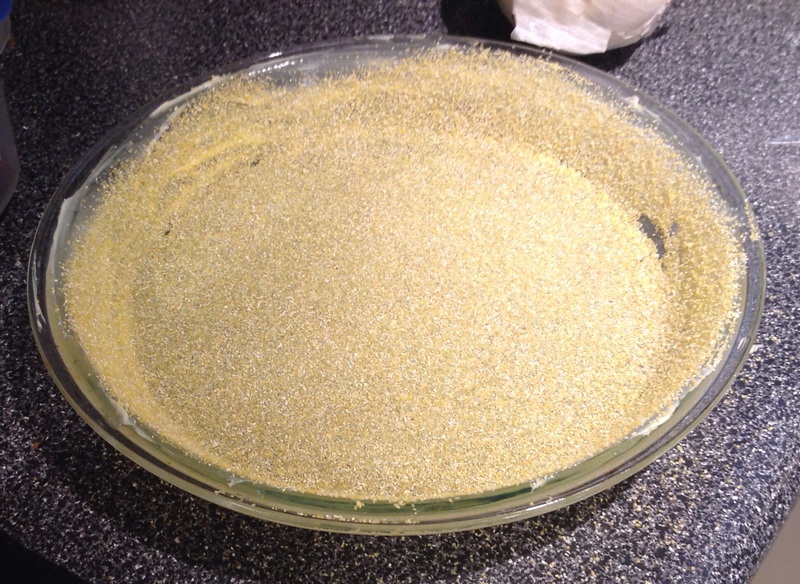 After greasing the dish, I sprinkled a thick helping of cornmeal to coat the bottom and sides of the greased dish. Ensure that every corner and crevice is generously coated with the cornmeal. You can buy cornmeal at most stores- although depending on your area you may find it under Caribbean or Portuguese sections of your grocery store. It is a great substitute/ addition to flour as it is much coarser and less processed. 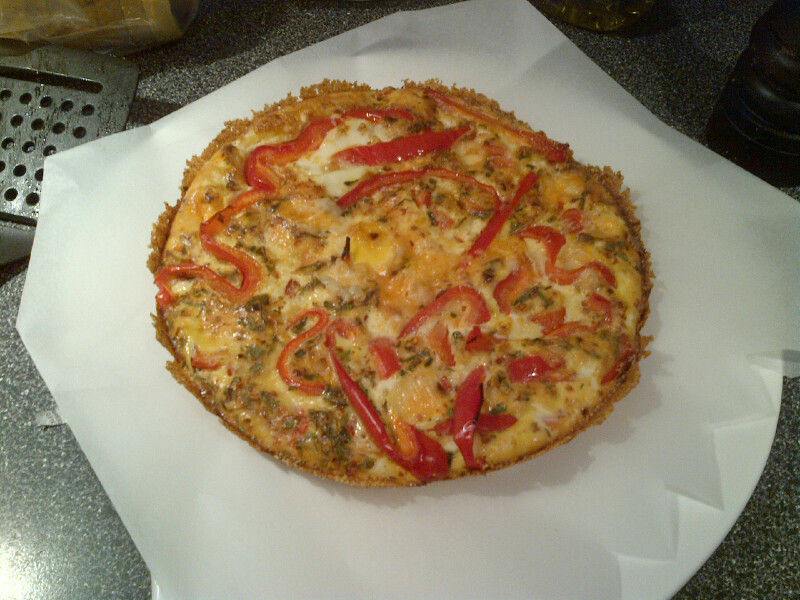 It’s a quiche (with all of the normal ingredients) including: 5 eggs, milk, veggies, cheese- blended together lightly. In this particular example the fifth egg was unbeaten- you can sort of see the yolk sticking out in the middle of the photo. When it cooled- the quiche “popped” out quite easily, and all of the cornmeal stuck to the sides and edges. Below is a quiche-selfie…although I use the term selfie loosely as crustless-quiches do not have arms with which to take photos of themselves. Next Post Bubble Universe- Exposed!